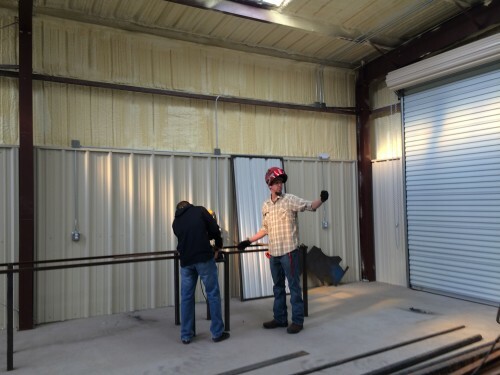 The second semester at Marfa ISD is underway, and the students of the new welding teacher, Josh Steinberg, are finally able to begin welding. The school’s new Industrial Arts building has been completed, and the students are back receiving hands on training in the trade. 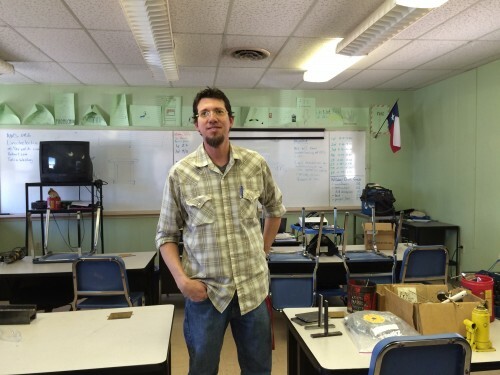 KRTS intern Ian Lewis attended Steinberg’s 4th period welding class. 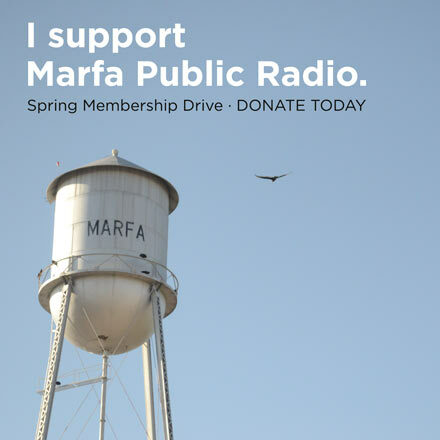 For the first semester of his first year at Marfa ISD, Steinberg was without a shop to teach his students in. After a number of delays, the new Industrial Arts building has been completed, and Steinberg can now provide his students with some real demonstrations, and the students get begin practicing the techniques. Everybody in the program is happy to get working. “Its better, we’re getting a lot of stuff done, now that we have a building to do stuff”, says Shelby Martinez, a sophomore. 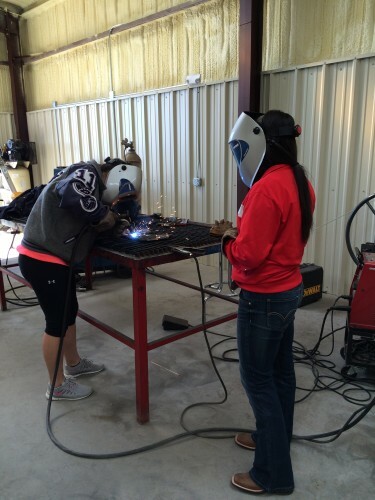 Shelby practiced her MIG welding, melting wire to metal, and John Serrano and Andrew Briones, also sophomores, practiced their stick welding. Steinberg inspected his students’ work, and showed Shelby how to clean the welder and metal for a higher quality weld. The building may be completed, but the interior still needs a lot of work. Booths for welding, stands for the saws, and more, all need to be built. This has provided projects for Steinberg’s more advanced students. 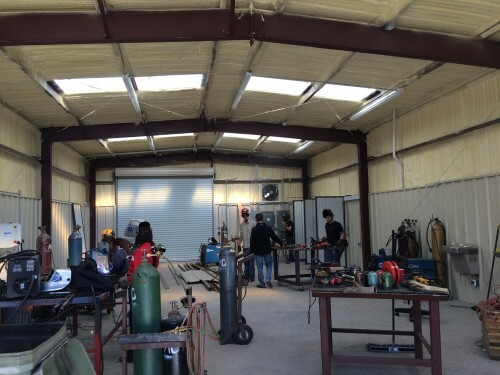 In addition to getting the shop up and running, Steinberg is working to add something very important to the program; the chance for his students to leave high school with not only a diploma, but a welding certification as well. Whether looking to pursue a career as a welder, or looking for a career elsewhere, this is an opportunity that no student in the class is thinking of passing up. “I want to be certified just to have something, just in case,” says Shelby. “I’m going to be practicing and trying to get my certification for welding and looking for a career in that,” says Steven Granado, also a sophomore. To get certified, Steinberg tells his students they need to practice, practice, practice. And now that they have their shop, they can. 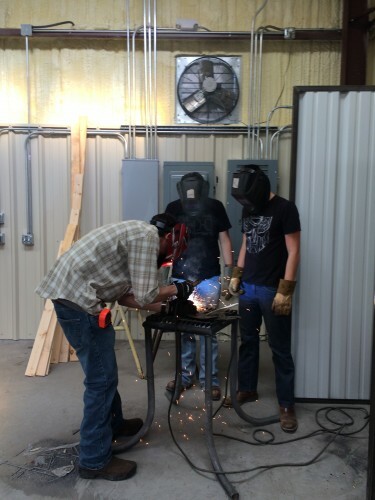 This entry was posted in KRTS News and tagged high school, Industrial Arts, Josh Steinberg, Marfa ISD, welding. Bookmark the permalink.